WASGHINGTON -- The Senate has given sweeping approval to a year-end budget package that boosts federal agency spending and awards tax cuts to both families and an array of business interests. The 65-33 vote sent President Barack Obama a package combining $1.14 trillion in new spending in 2016 and $680 billion in tax cuts over the coming decade, a peaceful end to a yearlong struggle over the budget, taxes, and Republican efforts to derail his regulatory agenda. Obama will sign the measure, which includes many of the spending increases he fought for all year and is largely free of GOP attempts to block his moves on the environment, financial regulation, and consumer protection. 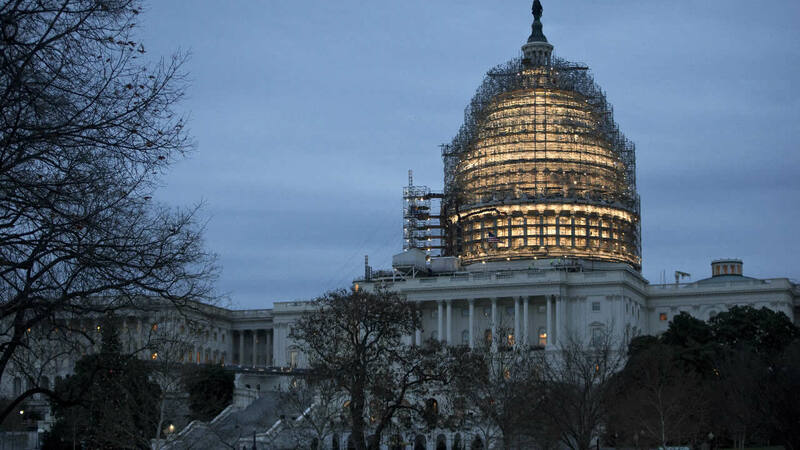 Republicans won increases for the military and an end to a ban on exporting U.S. oil.